We seek out hot springs wherever we are and we found one of the very best during our first year on the road. 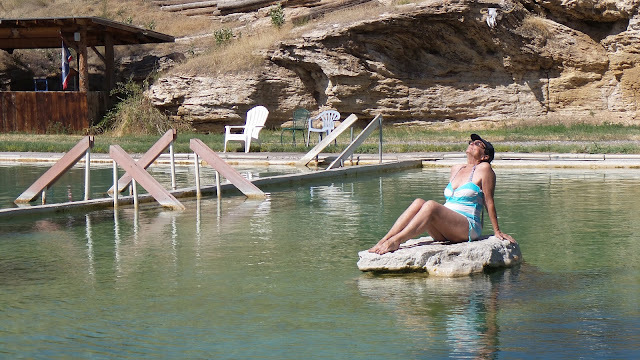 Thermopolis, Wyoming is where the hot springs are. Just north of Thermopolis is an RV park called Fountain of Youth. They've channeled the hot spings into 3 large pools. We discovered it and stayed there in 2004, and then again in 2013. We got another chance this year and jumped on it.